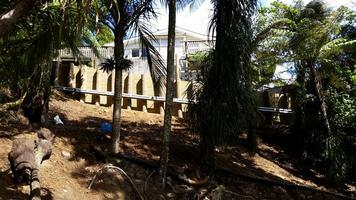 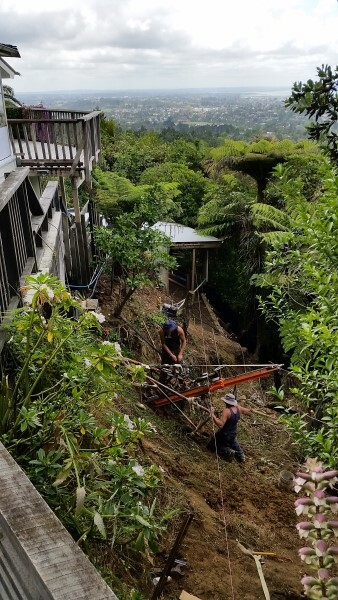 Earth Stability was approached to provide a design and build solution following a land slip on this steep residential site. This was a lump sum project, which was awarded to Earth Stability through competitive tender amongst invited specialist tenderers. 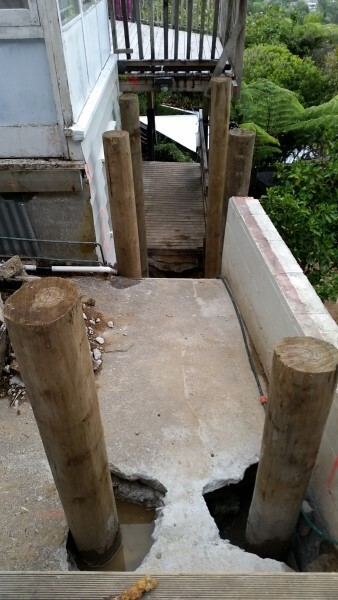 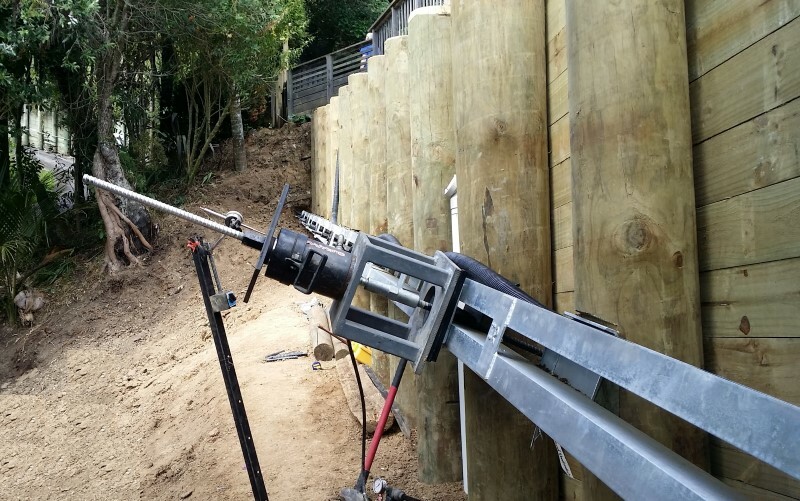 The project involved the construction of an 19m long tied-back timber pole retaining wall which required; the construction of the retaining wall, drilled horizontal drains, the installation of tie-back anchors, the installation of steel waling beams and earthworks. This was an extremely steep site with highly restricted access. 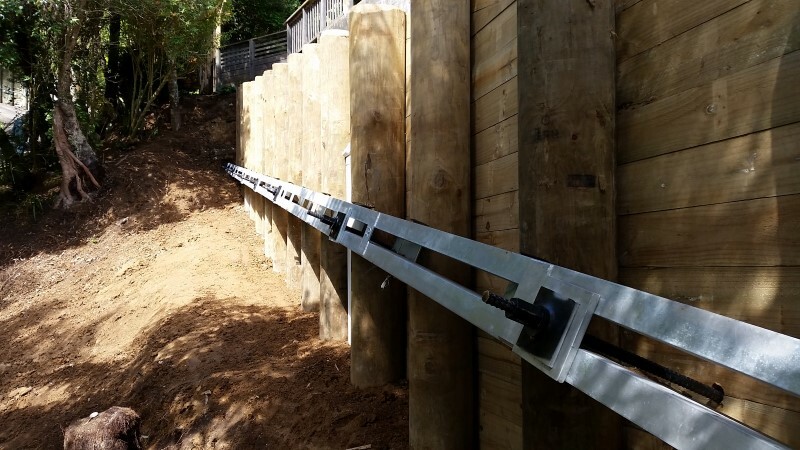 All plant and materials were mobilised to site by hand including each of the 500kg timber poles that had to be winched up the slope to the location of the wall and carefully lowered into position. 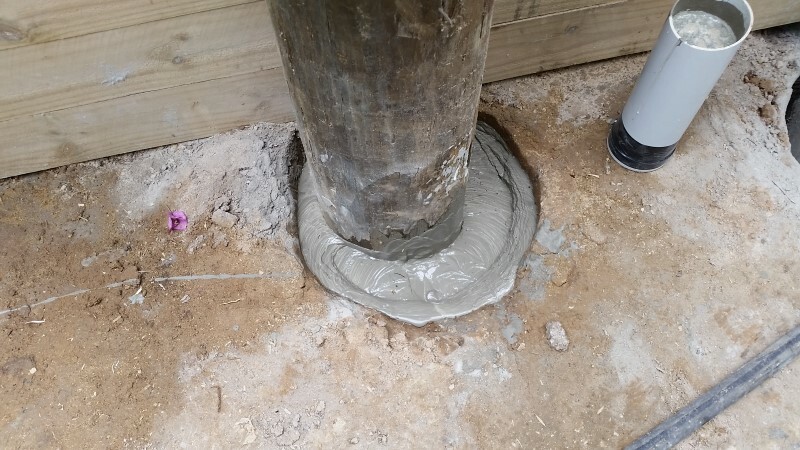 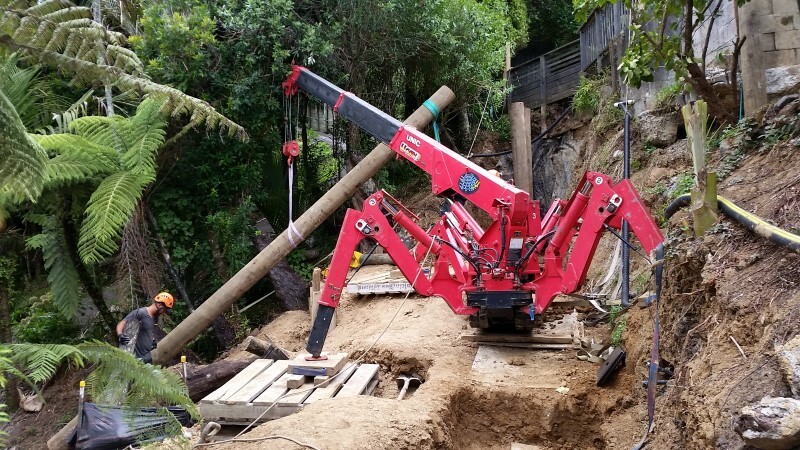 In addition to the main slip repair works, Earth Stability was awarded the pile construction works for a new extension and renovation to the property using their ‘man-portable’ piling rig. 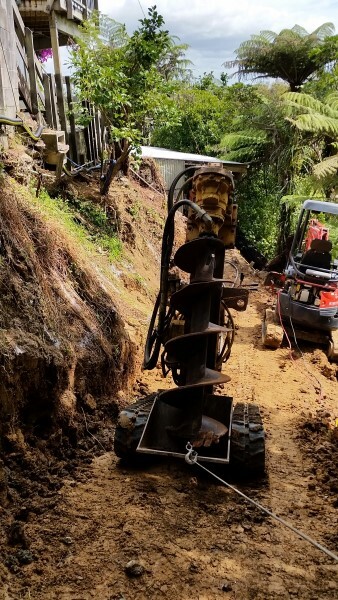 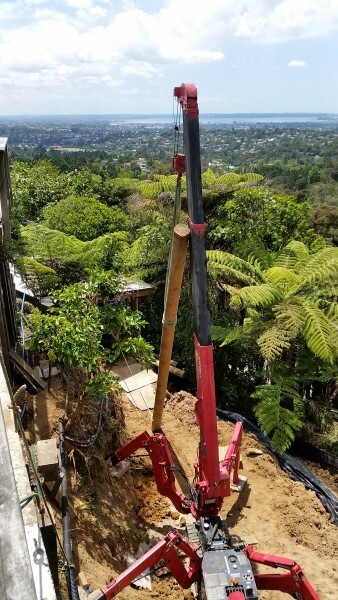 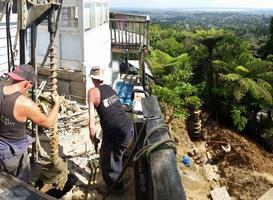 The site was located on an elevated site near the top of Mt Atkinson in Titirangi and covered in dense protected native bush requiring compliance with very strict consent conditions, all of which were meet throughout the works. 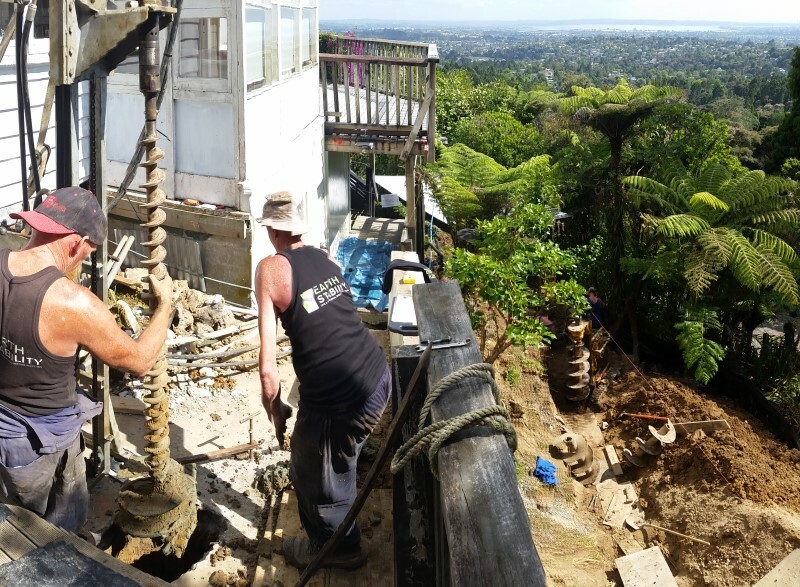 Earth Stability's highly skilled technical team expertly carried out the works, placing paramount importance on the health and safety of employees and residents and the sensitive costal landscape.